Mahana beach is located at the southern tip of Hawai’i. It is a natural coastal system with an olivine beach, constantly being reworked by waves rolling in from the vast Pacific Ocean. Mahana beach was formed when lava poured from the volcanoes that make up Big Island, into the Pacific, and cooled off in rains of fine cinders. 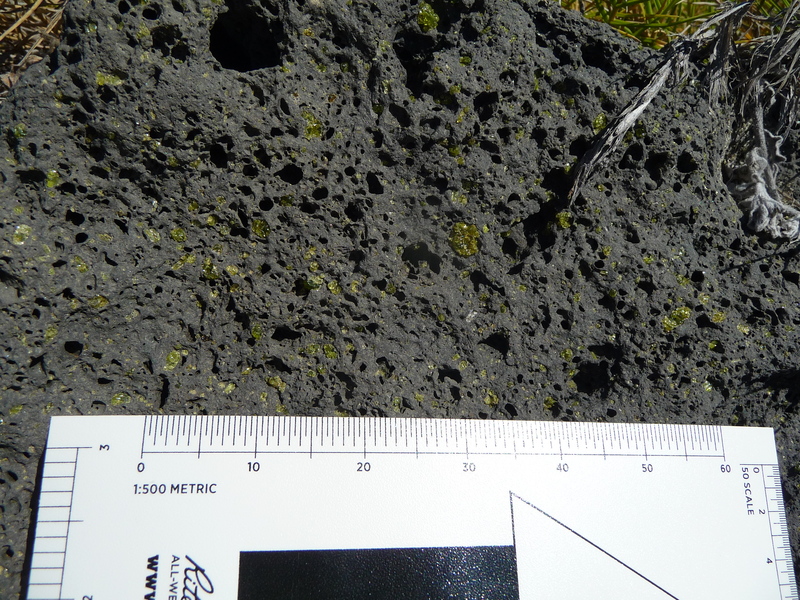 These cinders contained high concentrations of very pure forsteritic olivine crystals, like those crystals in the lava shown in the header picture for this post. 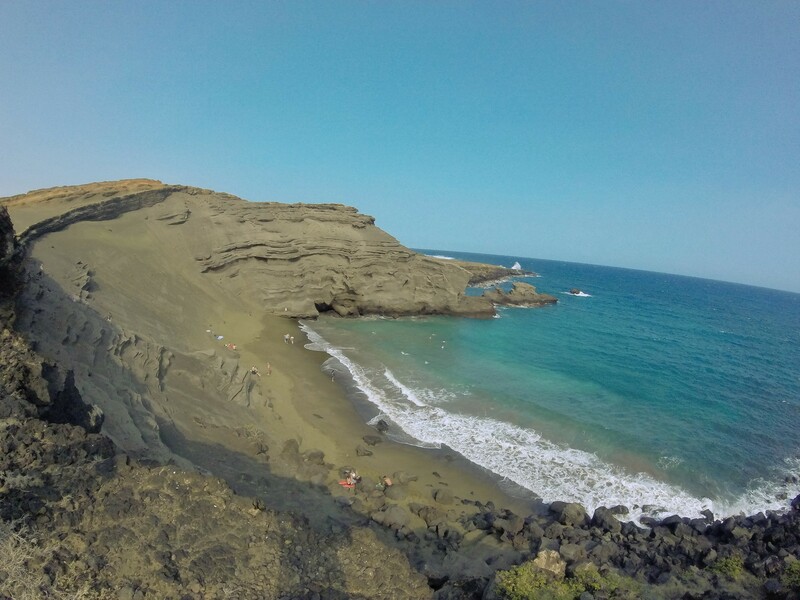 The accumulating cinders formed a coastal hill, which eroded into the ocean, forming a green olivine beach. Because this beach lies in the tropical Pacific it has several advantages for studying its chemistry and biology. First of all, seawater temperatures are relatively high, some 26-27 degrees Celsius, so all chemical reactions are naturally faster. Second, because of its location in the tropics, we expect not only to find your “normal” marine coastal biota, like seaweeds, shellfish and shrimps, but also some more exotic and interesting groups like corals. The interesting part is here is that corals make their calcium skeleton from the seawater. Corals like it when their seawater is less acidic and more alkaline, so an entire beach of dissolving olivine spells good news for them. However, olivine also contains metals, which leach out into the seawater during the dissolution process.